Luxury gift box with printed domed decal. Guide: bulk power bank travel kit prices. This comprehansive branded gift travel set contains a 2200mAh Power bank, car charger, travel adaptor and a multi cable connector for virtually all portable devices. Your branding will be a full colour resin dome print on four items 43.5 x 22.5mm as standard with free setup. Also you can a full colour printed resin dome on the box too. 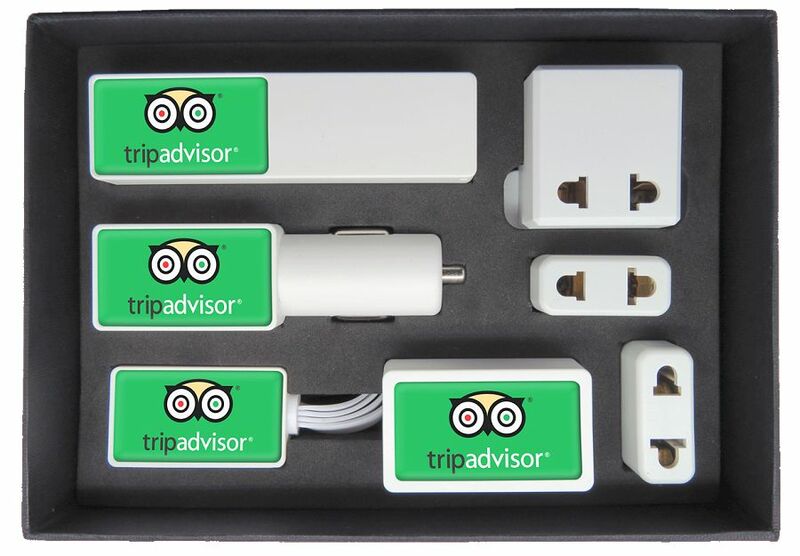 This is an all-in-one charging premium travel set that has been designed to give you every charging solution you will ever need whilst on your travels. Pantone: Available free of charge on orders of 250 units or above. Artwork: Required in any vectorised file format. Production Proof: Visuals supplied within 24 hours. Pre Production Sample: Approx 3 days from artwork approval. Guide: bulk Turnaround: Approx 5-7 days from artwork approval. Choice of Black or White units with matt finish from stock. Pantone matched units available from 250pcs. 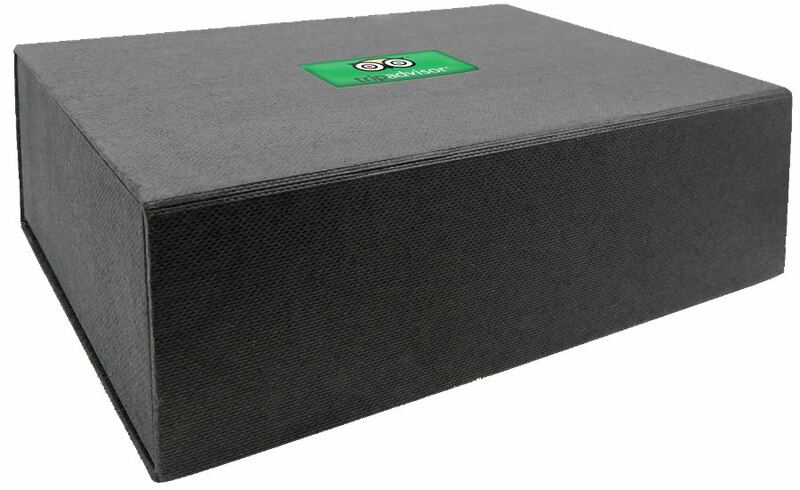 Supplied in a luxury branded gift box as standard. Includes interchangeable worldwide pin plugs, carry pouch, keyring attachment and user guide. Please see our USB Chargers section where we have a selection that include multi-way mains to USB and in-car USB chargers. 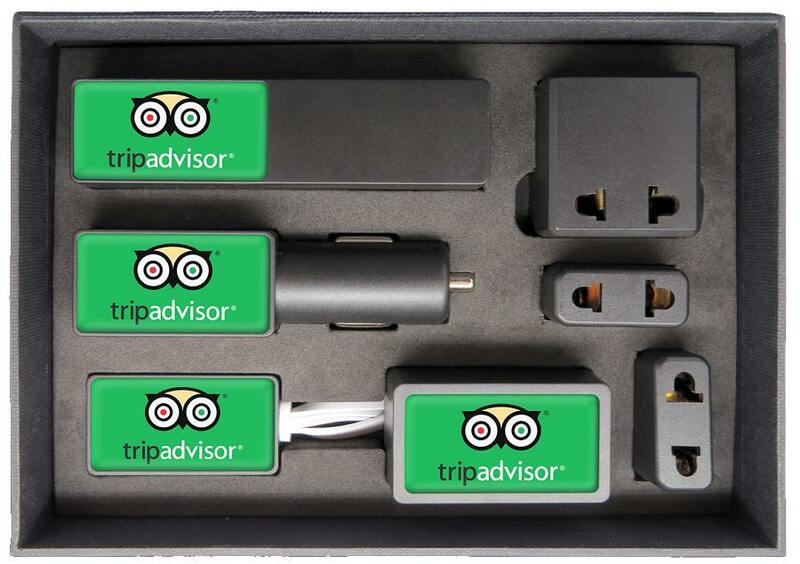 Please see our Travel Adaptors section where we have a great selection including Travel Kits.